Not surprisingly both kits are quite similar and fit into a single preview. 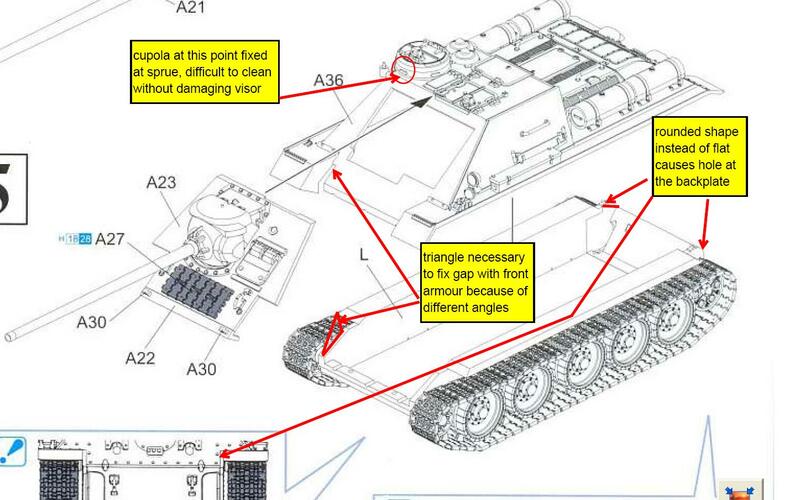 I am no specialist when it comes to Soviet vehicles, so I will basically limit myself to a parts summary. 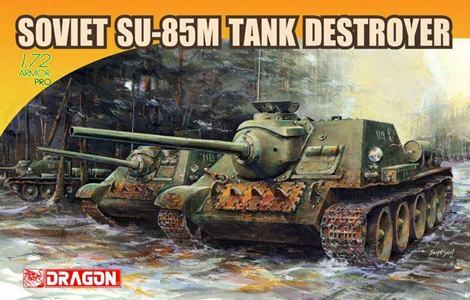 The casting quality we have come to expect from Dragon is well-known to most modelers by now. 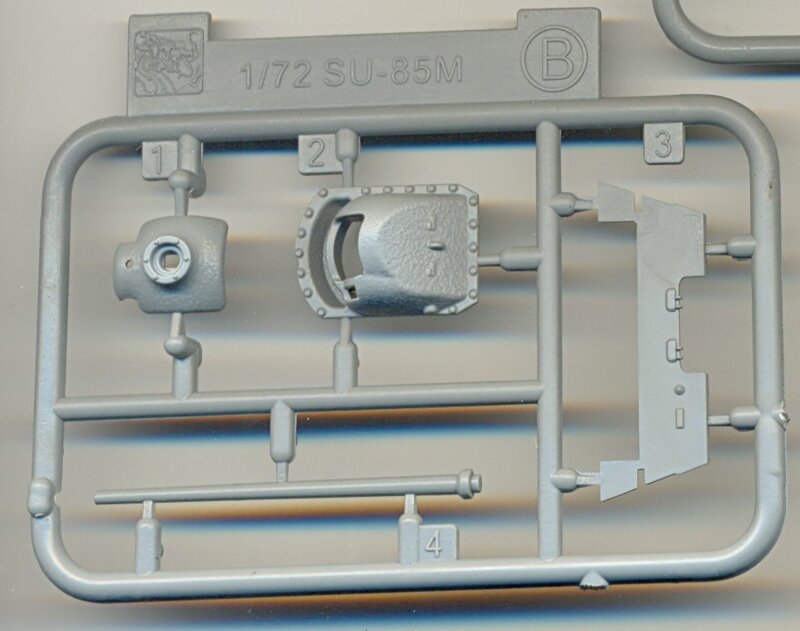 Sprue A: This sprue is marked "SU-100" and is identical in both kits, except that the two parts for the SU-100 gun mantlet are omitted in the SU-85M. This is sort of odd, given the huge number of parts that are not for use and that are not omitted (see manual here). 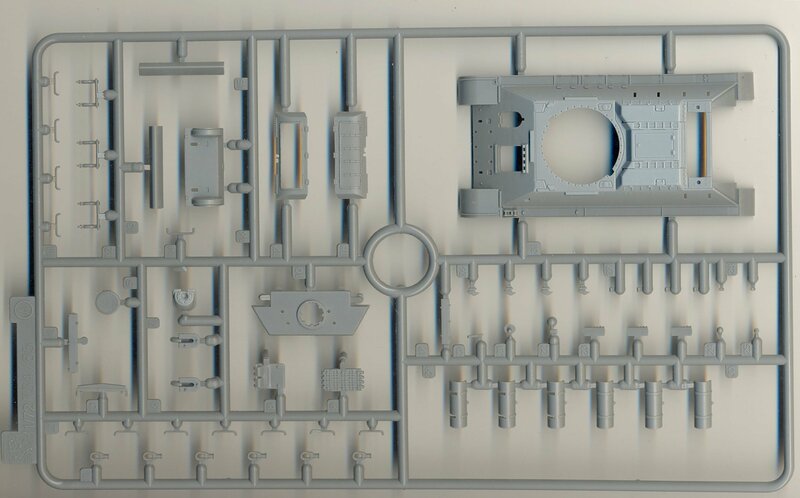 On this sprue alone, for instance, you do get the 100mm gun in the SU-85M kit. 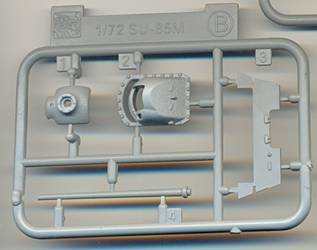 Sprue a: This sprue, which is identical for both kits, is marked "T-34/85" and it shows, as you get a complete upper hull for the T-34 which will go straight into the spare's box. 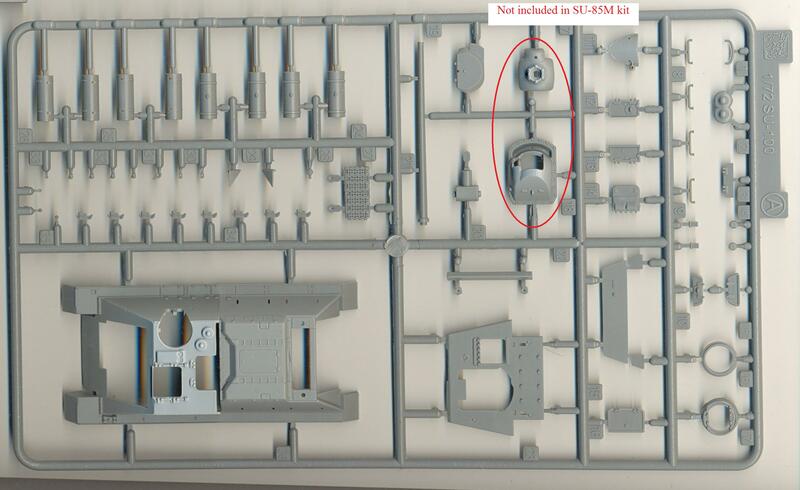 Given that Dragon blanked off two minor parts on the previous sprue, this strikes me as odd. 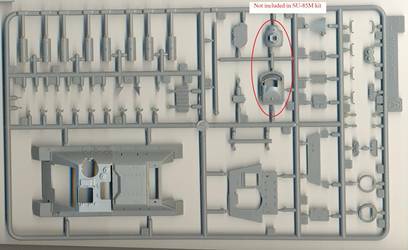 More than half of the parts of this sprue will become additions to that same spare's box, by the way. 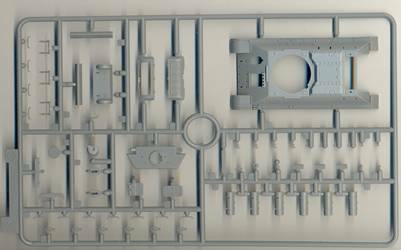 Sprue B: Gun shield, gun and hull part specific for the SU-85M and included in that kit only. Parts J: Roadwheels. Identical at first sight, but actually slightly different with respect to the thread pattern on the rubber of the roadwheels. 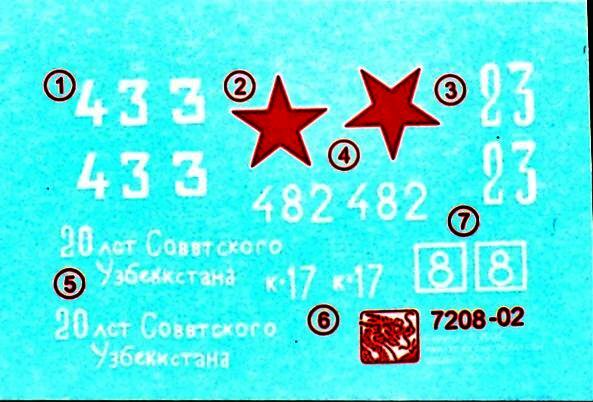 Part L: Lower hull. Identical in both kits. Parts Y: Two twisted metallic tow cables (9cm). Identical in both kits. 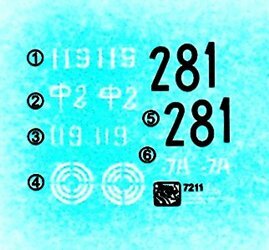 Sprue MA: Brass PE. Marked differently in both kits, but I have been unable to tell the difference. Parts L: DS tracks. Identical in both kits. Scans of the manual of both kits can be found on the Dragon page of the Henk of Holland website. 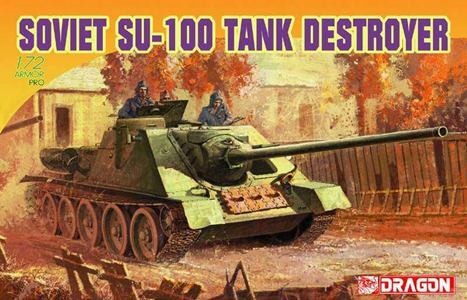 Note that Simon Barnes has also previewed the SU-100 kit earlier. "The lower hull has a rounded shape around the final drive, while the upper hull is straight. Therefor a hole is visible at the rear plate close to the fender. 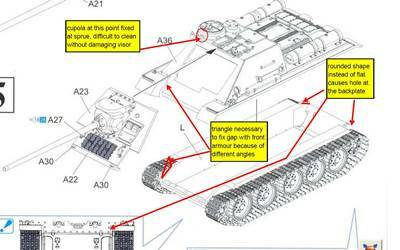 Behind the idler wheel (at the front) there is a gap, resulting from the fact that the part for the lower hull has the sidewalls at another angle than the front wall of the SU-100 (which is different from a T-34)."